Product Details-Playing rod Kitty will go wild, Size- 47cm, With sound, Will encourage hours of play. Product Information-The playing rod with squeaky mouse is the perfect teaser toy from Trixie. This looks like a fishing rod, which has a mouse attached at one end and it makes a noise every time your cat presses it. This is an interactive toy and will give you quality time with your pet. This mouse looks like a real mouse and you just have to hold the rod at a height. 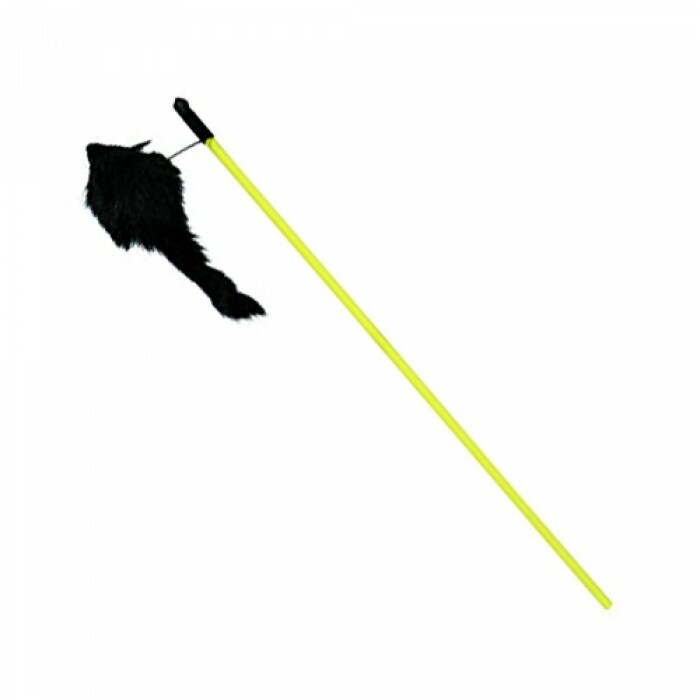 This will entice the cat to jump and catch the mouse, which is dangling from one end. This can be the perfect exercise for the obese cats. If you want you can even dust the toy with catnip as this will attract the cat towards the toy. It is advisable to replenish the catnip on a weekly basis. Features- Teaser toy for your cat. Can be dusted with catnip, Mouse squeaks every time the cat presses the mouse, interactive toy.